A series of production stills from Bleak House. Richard Carstone and Ada Clare (Colin Jeavons and Elizabeth Shepherd) are two young wards of court, enmeshed in a seemingly unending court case – that of Jarndyce and Jarndyce. John Jarndyce (Andrew Cruickshank) also has an interest in it and despite being on the opposing side to Richard and Ada is happy to take custody of them both. So Richard and Ada, along with Ada’s companion Esther Summerson (Diana Fairfax), take up their residence at Jarndyce’s country home, Bleak House. Others, such as the nearby Lady Dedlock (Iris Russell), are also connected to Jarndyce and Jarndyce, but that isn’t the reason why the arrival of Richard, Ada and Esther impacts so dramatically on her hitherto quiet life …. Originally published between March 1852 and September 1853, Bleak House is a typically sprawling work by Dickens, notable for the way it switches between first and third person narration. It has been tackled three times for television, with two further adaptations (in 1985 and 2005) following this one. Both of the later adaptations are, in their different ways, of interest. The 1985 Bleak House was one of the earliest BBC Dickens productions to be made entirely on film – this glossy production style would quickly become a standard production model, signalling the death knell for the old-style videotaped Classic Serial productions which until then had been a staple of the schedules for decades. It’s unfortunate that, despite a lengthy career, Elizabeth Shepherd seems fated to be remembered for the part that got away – that of Emma Peel in The Avengers. Despite having already filmed some material for her first episode, for whatever reason it was quickly decided to dispense with her services and Diana Rigg was hastily drafted in. Although Ada is the least developed of the main roles, Shepherd still acquits herself well. Ada’s a sweet, uncomplicated girl, with none of the subconscious dark secrets that trouble Esther. 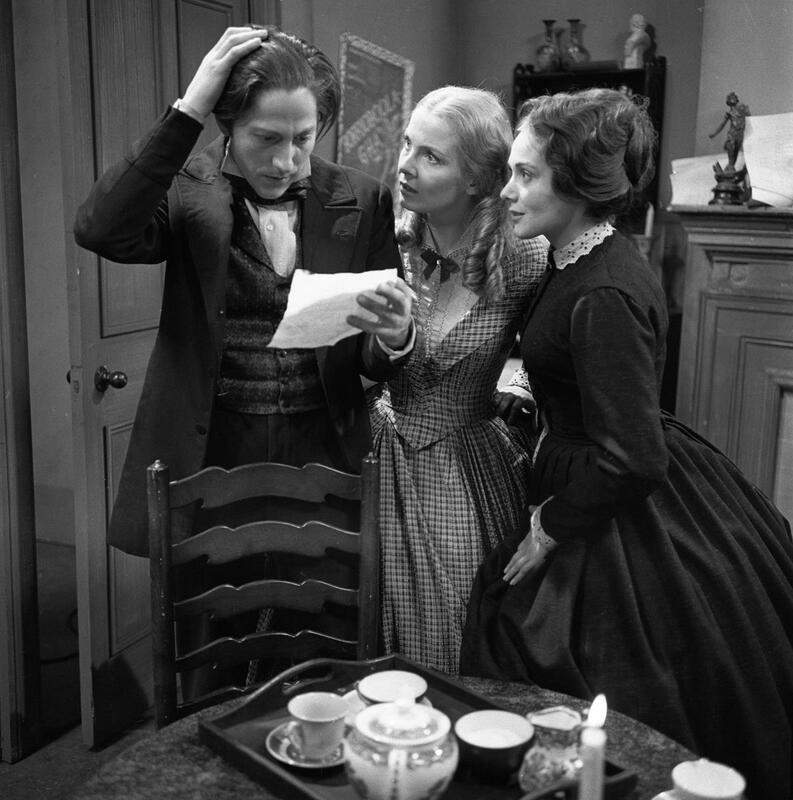 At this point in his career, aged thirty, Colin Jeavons was no stranger to either television or Charles Dickens. He’d played Herbert Pocket in Great Expectations (also 1959) and the same year had also appeared as Henry V in The Life and Death of Sir John Falstaff. Jeavons made a career out of playing slightly off-key characters and although Richard seems at first to be quite level-headed, there’s still a faint air of instability about him – something which Jeavons is well able to tease out as the serial progresses. Richard is a young man with a bright future, but it’s precisely what that future will be which proves to be the problem. Diana Fairfax was also no stranger to classic serials. Prior to Bleak House she’d appeared in The Diary of Samuel Pepys whilst the next year, 1960, would see her perform in both Emma and Kipps. Esther is the moral centre of the story, although it takes some time for her importance to become obvious (to begin with, she appears to be little more than Ada’s loyal companion). Andrew Cruickshank might have been a few years away from his defining role – that of the curmudgeonly, but kindly Dr Cameron in Dr Finlay’s Casebook – but he’d been a familiar face on both the big and small screen since the late 1930’s. Cruickshank is excellent as John Jarndyce – a lonely man who delights that his house has been brought back to life by the influx of three young people. As is usual, Dickens created a rogues gallery of supporting players – all of whom are gifts for any decent actor. Timothy Bateson appeals as Mr Guppy, a young solicitor with an unrequited love for Esther. This is obvious from their first meeting when he appreciates her fresh-faced country look (“no offence”). Bateson’s comic timing is given full reign here. He may not be on screen for too long, but Wilfred Brambell sketches an appealing cameo as the grasping Krook. 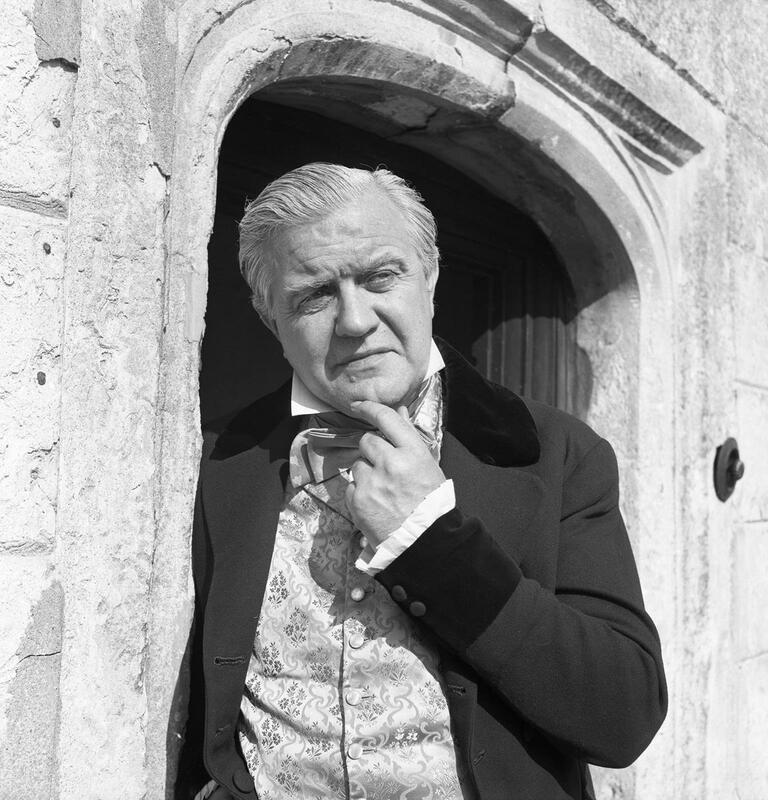 Brambell had also made a memorable appearance in the previous BBC Dickens, Our Mutual Friend, and wasn’t the only actor to have appeared in both serials. Richard Pearson and William Mervyn also have that honour, with Pearson – here playing the dogged Inspector Bucket – also catching the eye. Tulkinghorn, the oppressive lawyer who digs into Lady Deadlock’s long-buried secret is another key character. John Phillips doesn’t have Peter Vaughan’s menacing screen presence (Vaughan played Tulkinghorn in the 1985 adaptation) instead he essays a sense of remorseless blankness, which works just as well. As might be expected, the serial is pretty much studio bound with the occasional brief film insert. The telerecordings are slightly muddy, but no worse than other examples from the same period. And while the prints may exhibit occasional damage there’s nothing too dramatic – meaning that the serial is more than watchable. Lacking the visual sweep of the later adaptations, this version of Bleak House has to stand or fall on the quality of its actors. Luckily, there’s very little to complain about here. There are some fine central performances – Fairfax, Cruickshank and Jeavons especially – whilst, as touched upon earlier, there’s strength in depth from the supporting players with Timothy Bateson standing out. Another strong early BBC Dickens serial, Bleak House comes warmly recommended. Bleak House is released by Simply Media today. RRP £19.99. It can be ordered directly from Simply here. Simply Media are delighted to announce the DVD release of three BBC Charles Dickens classic drama adaptations on 21st August 2017: Oliver Twist (1962), Bleak House (1959) and Barnaby Rudge (1960). These rare and highly sought-after original BBC drama series are presented in their stunning black and white original form, and are all fondly remembered for their great production value and the fantastic acting talent in each production. These will form a part of Simply Media’s Charles Dickens Classics Collection, with three other Charles Dickens classics already available on DVD from Simply Media: Dombey and Son (1969), Great Expectations (1967) and Our Mutual Friend (1958). The first ever BBC television adaptation of the Charles Dickens classic Oliver Twist. Adapted by Writers’ Guild of Great Britain award winner Constance Cox (The Forsyte Saga), who specialised in creating great adaptations of classic literature for screen, and featuring an atmospheric soundtrack composed by BAFTA-nominee Ron Grainer (Doctor Who). This uncompromising adaptation of Dickens’ tale of a gang of orphan boys turned to crime changed the face of British Sunday teatime viewing. Cox’s unvarnished depiction of despair and depravity in the back alleys of 19th century London, and the cruel divide between rich and poor, shattered expectations of cosy family drama. But this is Oliver as Dickens intended, without the enforced jollity of the blockbuster Lionel Bart/Carol Reed musical. This landmark BBC production was a gritty game-changer that raised the bar and stretched the boundaries of TV adaptation and serial drama. 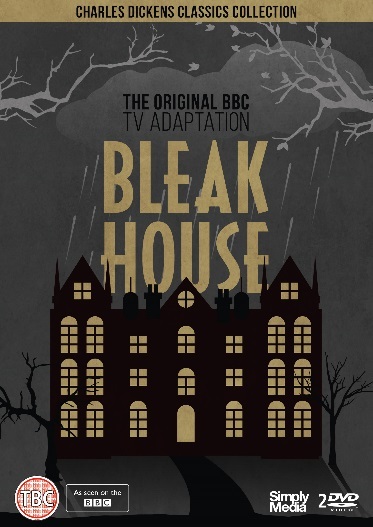 The first ever BBC television adaptation of the Charles Dickens classic Bleak House, also adapted by the prolific Constance Cox. Starring Andrew Cruickshank (Dr. Finlay’s Casebook), Diana Fairfax (Just William), Colin Jeavons (The French Lieutenant’s Woman), Timothy Bateson (Dad’s Army) and Michael Aldridge (Last of the Summer Wine). Dickens’ elegant satire about a disputed inheritance and the self-serving workings of the legal system gripped the public’s imagination. Cruickshank stars as John Jarndyce and Fairfax as his ward Esther Summerson in this delightfully complex comic drama. A mystery story in which Esther uncovers the truth about her birth and her lost mother Lady Dedlock (Iris Russell); a murder story featuring one of the first detectives in English fiction, Inspector Bucket (Richard Pearson); and at its heart a redemption tale about a desolate home transformed by compassionate love. A slick and satisfying examination of double-dealing and injustice. The acclaimed BBC adaptation of Dickens’ classic tale of the 1780s Gordon Riots Barnaby Rudge, adapted by Michael Voysey and directed by Z Cars’ Morris Barry, remains the only TV portrayal of Dickens’ tantalizing gothic drama. Starring John Wood (War Games), Barbara Hicks (Brazil), Timothy Bateson (Harry Potter and the Order of the Phoenix) and BAFTA-nominee Joan Hickson (Agatha Christie’s Miss Marple). On a stormy night in 1775 a ragged stranger (Nigel Arkwright) wanders into the Maypole Inn. Edward Chester (Bernard Brown – Crown Court), whose horse is lame, leaves the inn on foot to meet his beloved Emma Haredale (Eira Heath – A Man for All Seasons) at a masked ball. Joe Willet (Alan Hayward – Cash on Demand), quarrels with his father, Maypole landlord John (Arthur Brough – Are you Being Served? ), and joins the army, only saying goodbye to Dolly (Jennifer Daniel – The Reptile), the pretty daughter of locksmith Gabriel Varden (Newton Blick – Morgan: A Suitable Case for Treatment). Varden’s household includes his formidable wife (Joan Hickson) and dithering maid Miss Miggs (Barbara Hicks). Simple-minded Barnaby Rudge (John Wood) wanders in and out of the story, chattering with his pet raven Grip. Barnaby’s mother Mary (Isabel Dean) is visited by the stranger, and feels compelled to protect him. As the stories interweave, Barnaby is caught up in the Gordon Riots, a violent demonstration against Catholics. Jailed with the ringleaders, will he hang for their actions?